Get a Room features a variety of comedic programs and talents, including stand-up acts, screenings, and more. Featuring comedians from Comedy Central, MTV, Adult Swim, and more, Get a Room is all ages with food and cash bar at AMMO. This event is co-organized with Loud Village. This program is organized by Claudia Bestor, director of Public Programs, and Ali Subotnick, curator. Flex your freestyle rapping skills with comedian Eliza Skinner. Nina Tarr is a skilled, strictly vinyl DJ who has solidified her reputation in the nightlife scene with her impressively diverse musical taste and residencies at some of the hottest spots in Los Angeles. Featuring Heather Anne Cambell (Whose Line Is It Anyway?, SNL), Nick Mandernach (UCB Theatre), Shaun Diston (Broad City), and Rose O’Shea (UCB Theatre). Featuring Eliza Skinner (Late Late Show with James Corden, @midnight), Ross Bryant (MTV’s Wild n’ Out, UCB Theatre), Alana Johnston (Comedy Bang Bang, The Birthday Boys), and Nicole Parker (Wicked on Broadway, MADtv). Fans of comedy podcast Doug Loves Movies rejoice! Comedian Julian McCullough (MTV, E!, Comedy Central) has stolen Doug's concept and made it about music instead. 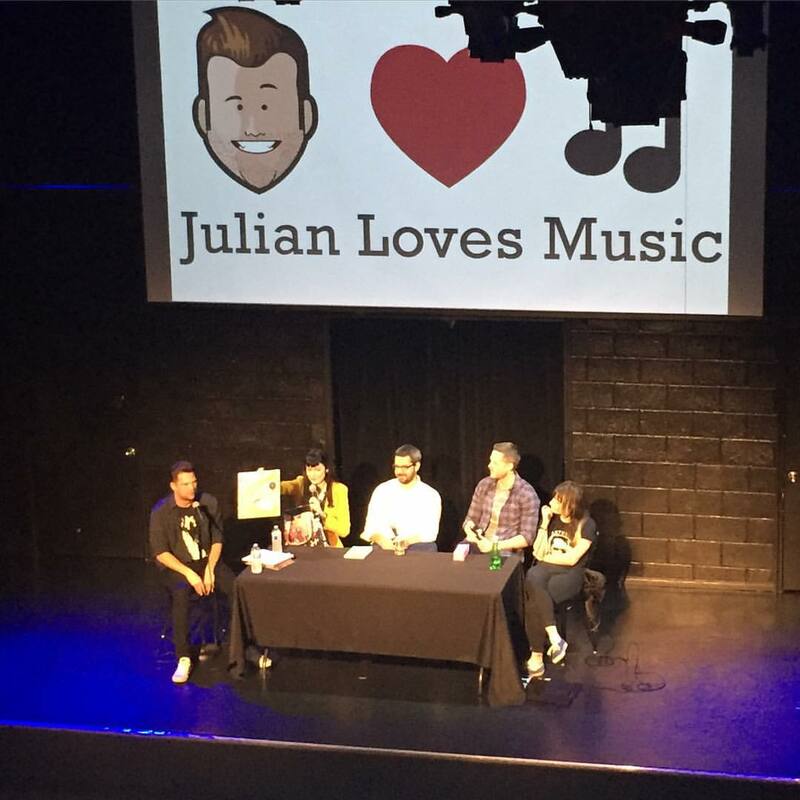 Julian Loves Music hosts awesome comedians and musicians as they compete in dumb games and have fun. If you like fun and or music, you will love this show! Featuring Baron Vaughn (Comedy Central, Netflix), Cameron Esposito (Comedy Central, Seeso), and Rhea Butcher (Comedy Central, Seeso). Comedians face off in series of freestyle, improvised one-on-one rap battles. The audience decides the winner by applause at the end of every round until we have one final champion. It's like 8 Mile, but funny. Featuring Eliza Skinner (Late Late Show with James Corden, @midnight), Ross Bryant (MTV’s Wild n’ Out, UCB Theatre), Alana Johnston (Comedy Bang Bang, The Birthday Boys), Nicole Parker (Wicked on Broadway, MADtv), and Ricky Carmona (Comedy Central’s Mash Up, Tosh.0). Ricky Carmona is a comedian and actor living in Los Angeles. He has performed all over greater Los Angeles, appeared on Comedy Central's Mash Up, and made several appearances on Tosh.0. This Show Is Your Show with Matt Bennett (Victorious, The Virginity Hit) and Moses Storm (Unfriended) is one of the longest running shows at Meltdown. It's an entertainment-packed show with stand-up, sketch, music, and more. Featuring Moses Storm (Unfriended) *host*, Matt Bennett (The Virginity Hit, Nickelodeon’s Victorious) *host*, Kevin Barnett (Broad City, The Carmichael Show), Jon Rudnitsky (SNL), Caleb Synan (Conan), and music by Poppy & Titanic Sinclair. 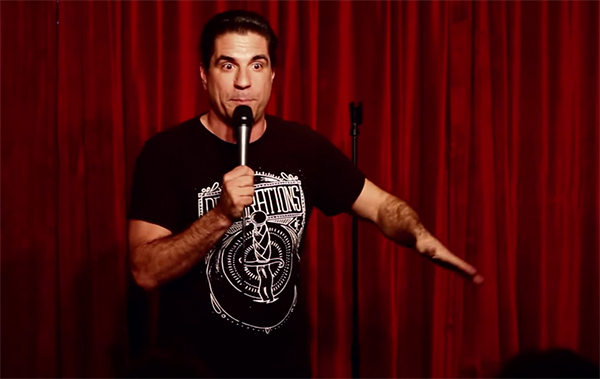 SideOneDummy Storytellers is a monthly storytellers show that takes place at SideOneDummy Records in Los Angeles hosted by comedian/musician and SideOneDummy co-owner Joe Sib. Each month includes a different set of storytellers and a different theme. Featuring Joe Sib (Bare Bones Show, Alt 97fm), Amir K (MADtv), Grant Cotter (MTV’s Jerks With Cameras), and Johnny Pemberton (21 Jumpstreet, Ant-Man, Neighbors 2). Johnny Pemberton is a comedian, actor, writer, mildly knowledgeable gardener, reggae enthusiast, and a friend to both insects and mammals. He is the voice of Peanut on the notoriously controversial Disney XD program Pickle and Peanut. Loud Village is taking over the Hammer Museum! Get ready for a big night of comedy madness as one of the hottest brands in town brings the laughs and good times. 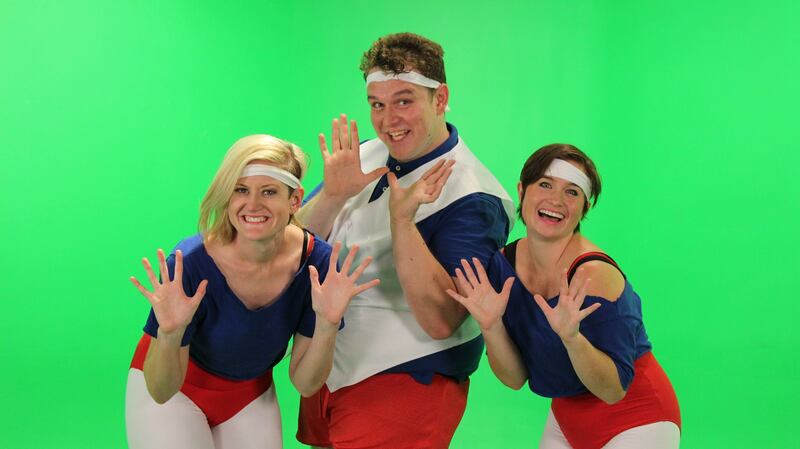 This is a show where anything can happen: stand-up, sketch, music, and more. Featuring Jeremy Burke (Loud Village) *host*, Jerrod Carmichael (ABC’s The Carmichael Show, HBO), The Lucas Brothers (22 Jumpstreet, Lucas Bros Moving Co), Esther Povitsky (Brooklyn Nine Nine, MTV), Brandon Wardell (Comedy Central, MTV), Karl Hess (SXSW), and Comedy Sketch from WOMEN (Comedy Central). Allie Teilz has been resident DJ for The Roosevelt Hotel's popular Nightswim parties since 2013. She has spun records alongside Thom Yorke, Arcade Fire, and M83, and has opened for Frank Ocean, Haim, and Lorde. The world’s top comedians get a never-before seen “set list” of bizarre, outrageous, and ridiculous topics as the audience follows along on the screen behind the performer. Set List: Stand-Up Without A Net is currently touring festivals worldwide, bringing a completely new experience of your favorite comics, seen as they have never been seen before. Created by Troy Conrad. 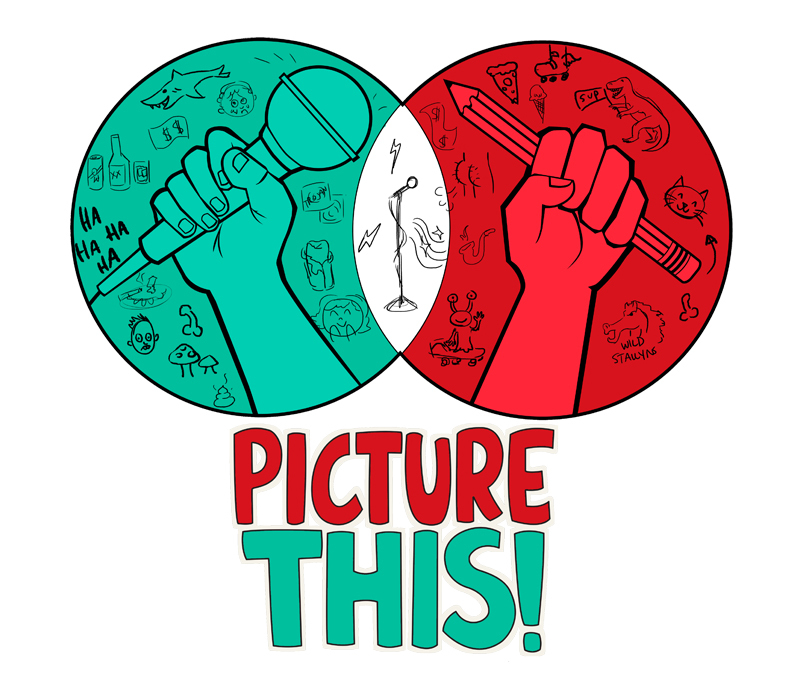 Featuring Jerrod Carmichael (ABC’s The Carmichael Show, HBO), Matt Kirshen (Last Comic Standing), and Caitlin Gill (Viceland, Oddball Comedy Tour). Featuring Jersey Jim Comedy Magician (Couple’s Retreat). Comedians perform stand-upwhile they are drawn live by some of the best animators and cartoonists in the business. Featuring comedy by Peggy O’Leary (Just For Laughs festival) *host*, The Lucas Brothers (22 Jumpstreet, Lucas Bros Moving Co), Brooks Wheelan (SNL, Comedy Central), Anna Seregina (Nerdist), Solomon Georgio (Conan), and Scout Durwood (MTV's Mary + Jane) Featuring animation by Mike Hollingsworth (Bojack Horseman), Mike Mayfield (Mr. Pickles), Jenny Fine (Nerdist), and Ashlyn Anstee (Nickelodeon). 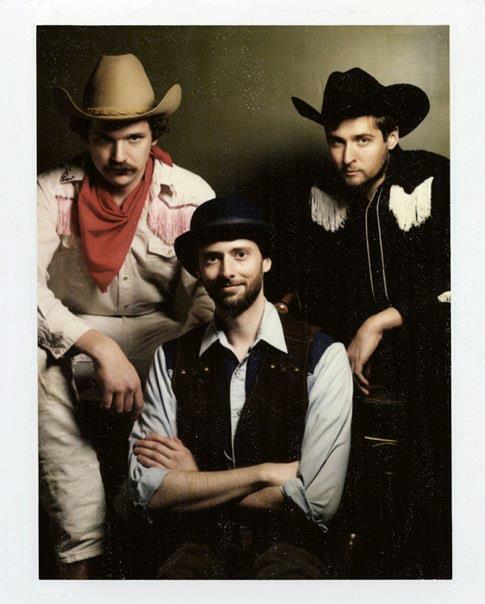 The Fringe Riders are an absurdist cowboy comedy trio based in Los Angeles where they host Stampede!, a monthly wild-west comedy revue featuring some the nation’s top comics as well as performing on some of L.A.’s biggest shows. Featuring Dan Gill (The Wedding Ringer, Fringe Riders) *host*, David Venhuizen (Fringe Riders), Colin McCormick (Fringe Riders), Brooks Wheelan (SNL, Comedy Central), and Megan Koester (Vice). 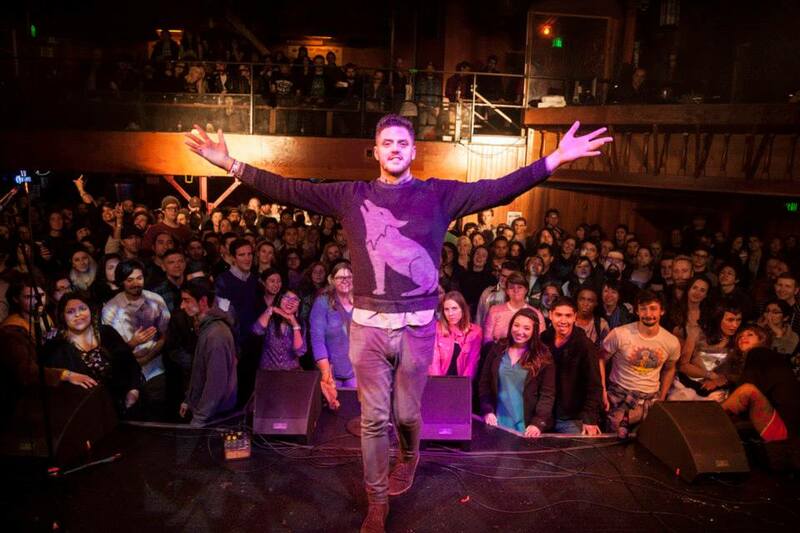 Good Looks is a monthly stand-up comedy show held in various locations around Los Angeles. Hosts Ian Karmel (Late Late Show with James Corden, Comedy Central) and Andrew Michaan (Super Deluxe) promise museum quality entertainment for the eyes, hearts, and souls. Good Looks was recently named one of the 10 best new stand-up shows in town by LA Weekly, the cultural arbiters of our vast metropolis. Featuring Ian Karmel (Conan, Late Late Show with James Corden), Andrew Michaan (Super Deluxe), and Brent Weinbach (Adult Swim).